Want to get an overview about Sumex1 a deeper insight about the invoicing process the purpose of validators & xmlManagers started with the big picture ? Have a look at the interactive talk about the big picture, getting you a deeper inside on the example of the invoicing process. 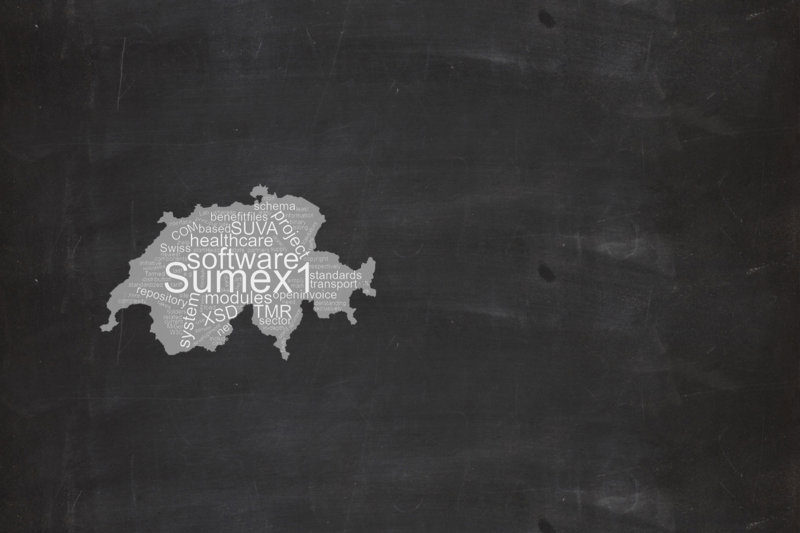 The SUMEX1 project is a sweeping joint industry initiative of SUVA. The project provides various middleware ATL COM modules -all based on an open modular architectural blueprint- usable in software of the Swiss healthcare sector. It is the intent of SUVA to help software developers and last but not least the Swiss healthcare providers mastering the complexity of e.g. the Tarmed tariff system and easily overcoming the obstacles of the electronic billing. SUVA as copyright holder and principal maintainers of the software have the very intension to supply state of the art modules that benefits all partners in the Swiss healthcare sector. You can trust our willingness to keep that project alive - in fact, the past 15 years should be proof enough! Keep up on our evolving list of modules. Enter your email address and subscribe to our news feed - you will stayed informed about all newly published builds.